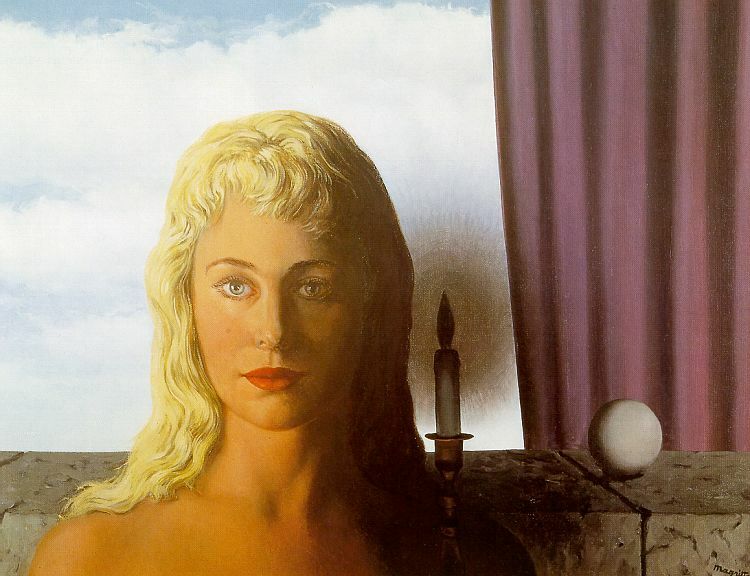 The sleeve of the Alan Parsons album Try Anything Once recalls at least two recurring elements of Magritte’s works, the man with the hat and the white sphere. There is an easter egg inside the inlay. 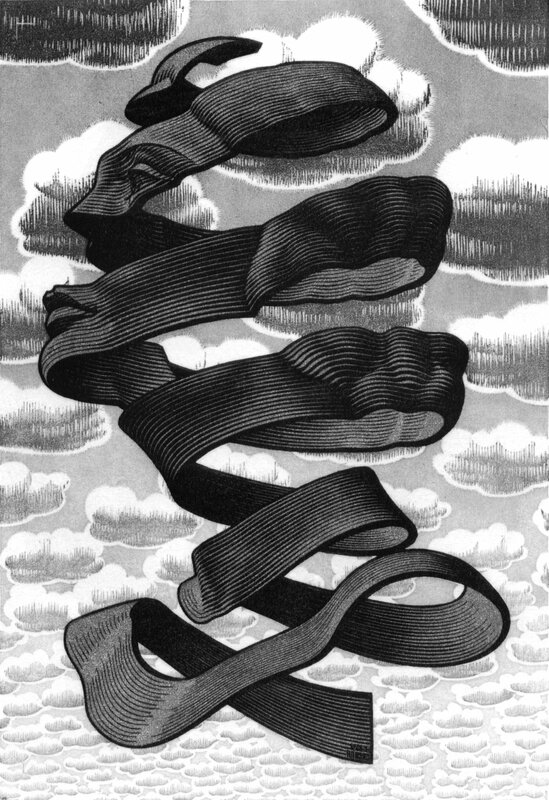 One of the pictures is a stereogram; when the viewer looks at it correctly, an image of a man and woman upside down will appear, similar to the other pictures in the album’s artwork. Stereoscopy (also called stereoscopics or 3D imaging) is a technique for creating or enhancing the illusion of depth in an image by means of stereopsis for binocular vision. The word stereoscopy derives from Greek στερεός (stereos), meaning “firm, solid”, and σκοπέω (skopeō), meaning “to look, to see”. Any stereoscopic image is called stereogram. Originally, stereogram referred to a pair of stereo images which could be viewed using a stereoscope. 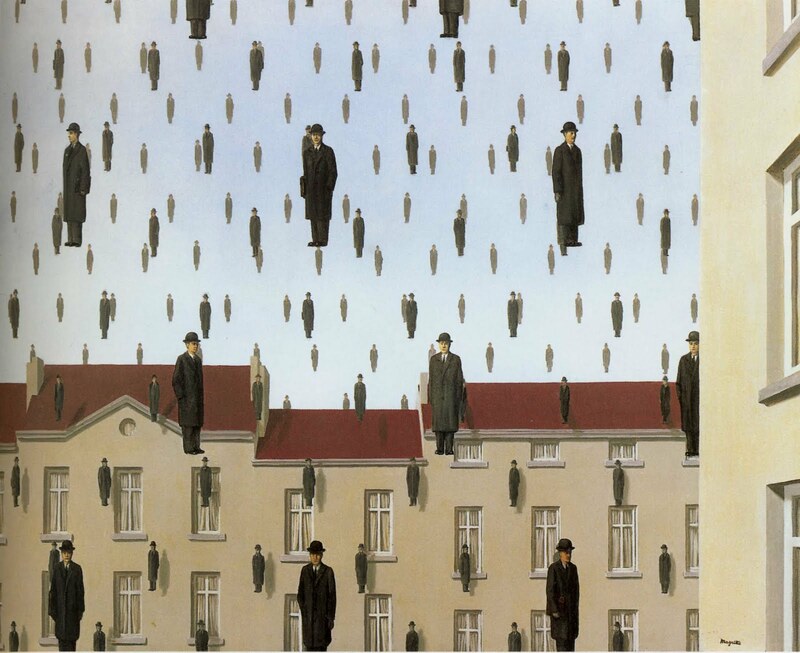 Magritte made several studies of stereograms in some paintings (for instance, Man with a Newspaper, The Menaced Assassin, A Taste of the Invisible, Portrait of Paul Nouge, and many others). 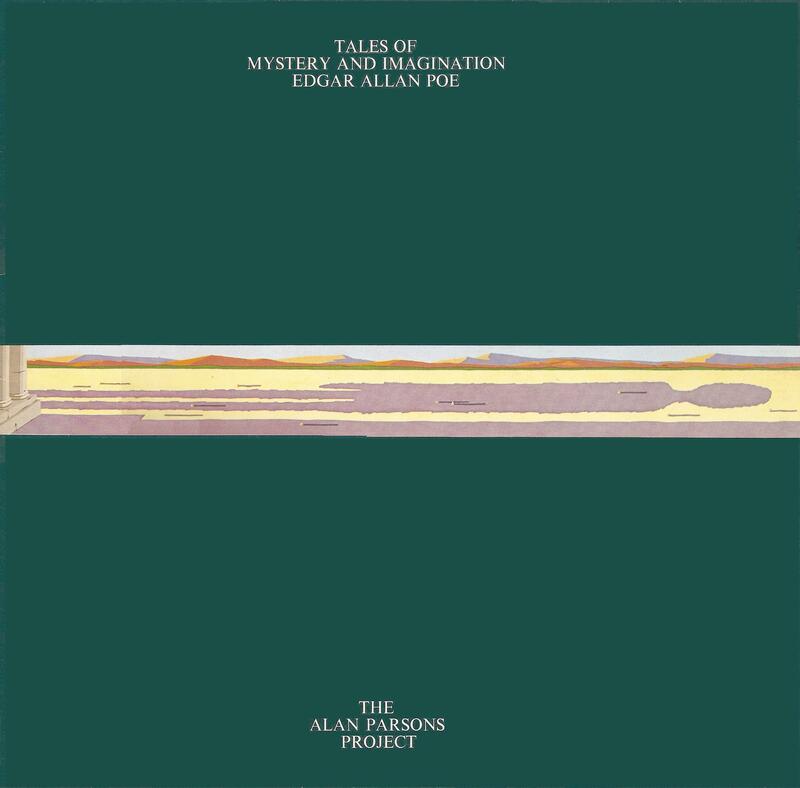 Tales of Mystery and Imagination Edgar Allan Poe, is the debut album by the progressive rock group The Alan Parsons Project, released in 1976. The lyrical and musical themes – retellings of horror stories and poetry by Edgar Allan Poe — attracted a cult audience. The title of the album is taken from a popular title for a collection of Poe’s macabre tales of the same name, Tales of Mystery & Imagination, first published in 1908 and reprinted many times since. Musicians featured on the album include vocalists Arthur Brown of The Crazy World of Arthur Brown on The Tell Tale Heart and Terry Sylvester of The Hollies on To One In Paradise. The complete line-up of bands Ambrosia and Pilot play on the record, along with keyboardist Francis Monkman of Curved Air and Sky. 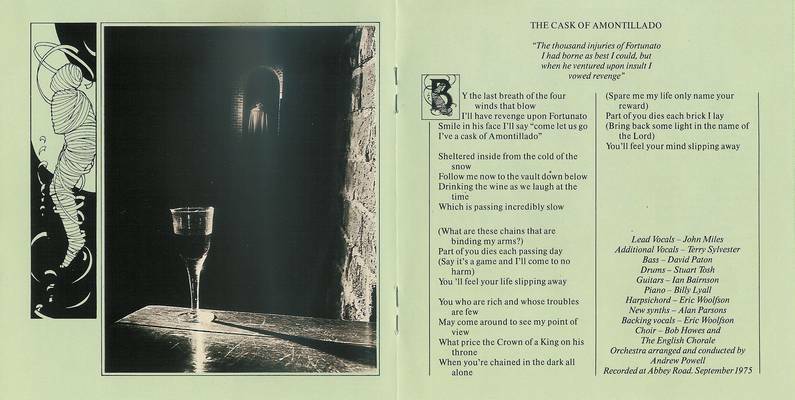 The Raven features actor Leonard Whiting on lead vocals, with Alan Parsons performing vocals through an EMI vocoder. According to the album’s liner notes, The Raven was the first rock song to feature a digital vocoder. The Prelude section of The Fall of the House of Usher, although uncredited, is inspired by the opera fragment La chute de la maison Usher by Claude Debussy which was composed between 1908 and 1917. 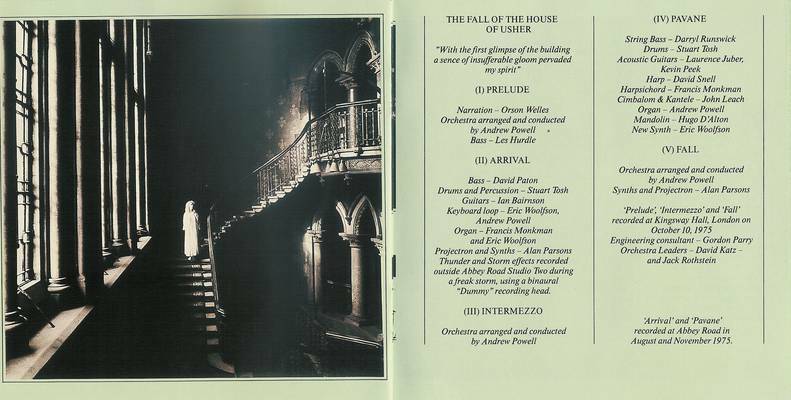 The Fall of the House of Usher is an instrumental suite which runs 16 minutes plus and takes up most of Side 2 of the recording. Critical reaction to the album was mixed; for example, Rolling Stone’s Billy Altman concluded that it did not completely accurately reproduce Poe’s tension and macabre fear, ending by claiming that “devotees of Gothic literature will have to wait for someone with more of the macabre in their blood for a truer musical reading of Poe’s often terrifying works”. Nevertheless in July 2010, the album was named as one of Classic Rock magazine’s “50 Albums That Built Prog Rock”. 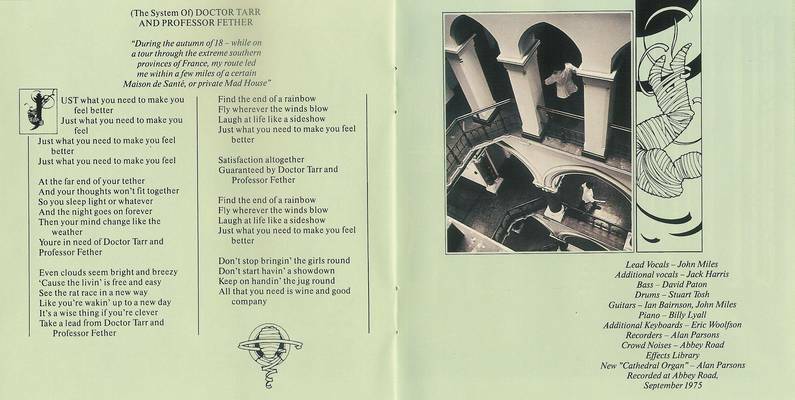 In 1987, Parsons completely remixed the album, including additional guitar passages and narration (by Orson Welles) as well as updating the production style to include heavy reverb and the gated reverb snare drum sound, which was popular in the 1980s. 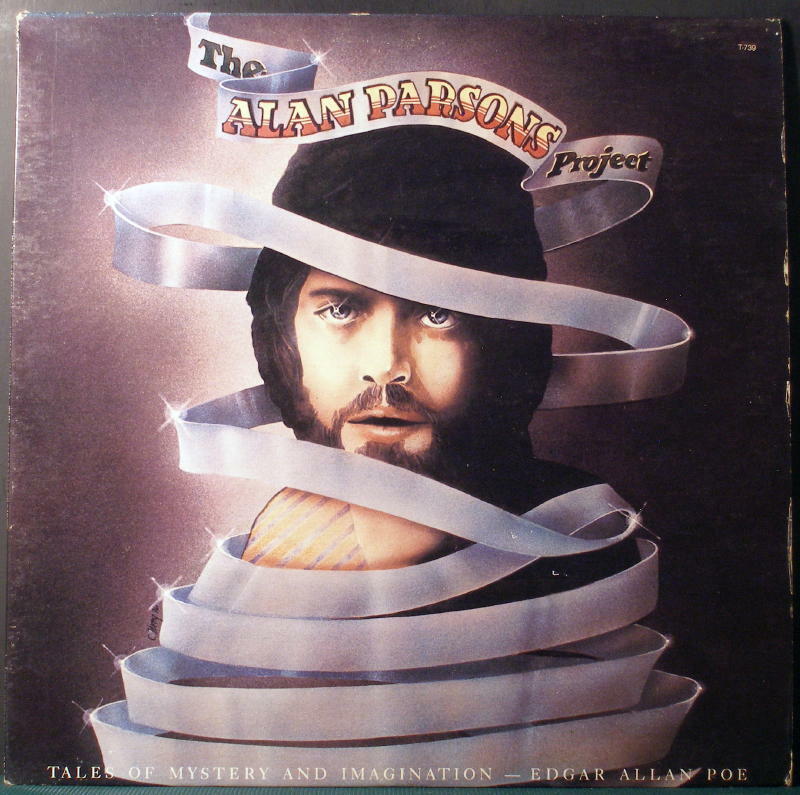 The CD notes that Welles never met Parsons or Eric Woolfson, but sent a tape to them of the performance shortly after the album was manufactured in 1976. The first passage narrated by Welles on the 1987 remix (which comes before the first track, A Dream Within a Dream) is sourced from an obscure nonfiction piece by Poe – No XVI of his Marginalia (from 1845 to 1849 Edgar Allan Poe titled some of his reflections and fragmentary material Marginalia.) 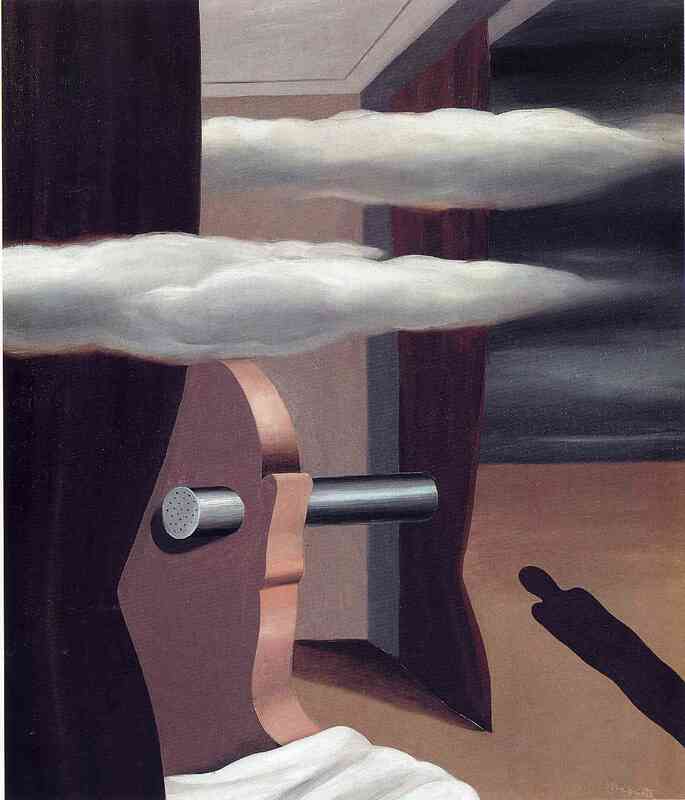 The second passage Welles reads (which comes before The Fall of the House of Usher (Prelude), seems to be a partial paraphrase or composite from nonfiction by Poe, chiefly from a collection of poems titled Poems of Youth by Poe (contained in Introduction to Poems – 1831 in a section titled “Letter to Mr. B———–“; the “Shadows of shadows passing” part of the quote comes from the Marginalia. 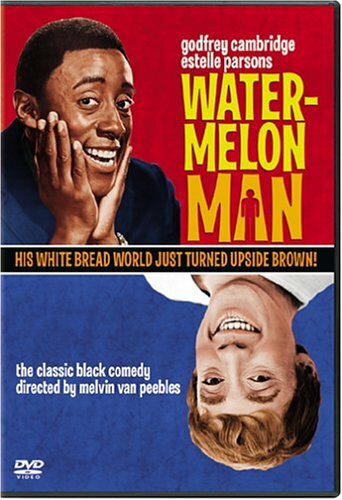 Written by Herman Raucher, it tells the story of an extremely bigoted 1960’s era White insurance salesman named Jeff Gerber (Godfrey Cambridge), who wakes up one morning to find that he has become Black. As Jeff tries to come to terms with this unexplained phenomenon that has befallen him, he soon becomes the victim himself when all of his friends and neighbors suddenly shun and harass him. This puts a strain on his marriage and loyal wife Althea (Estelle Parsons) , who begins to crack under the pressure. When all medical attempts to change his skin back to his former color fail, Jeff accepts that Kharma has caught up with him. 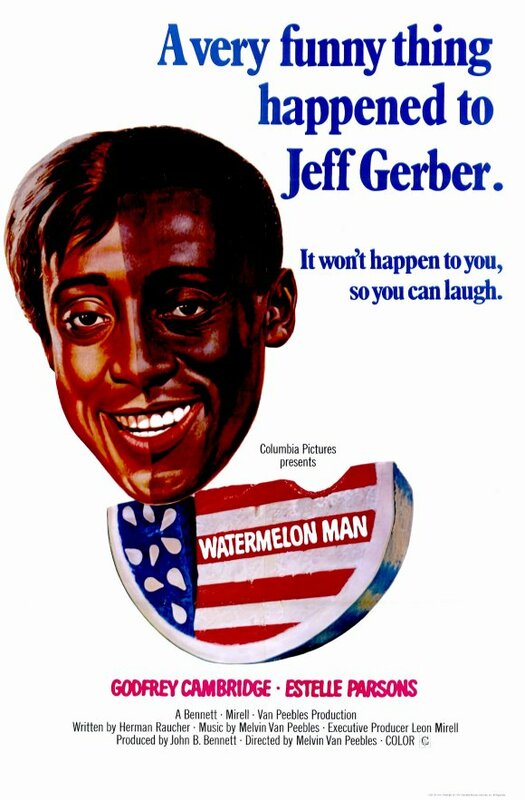 Jeff tries to see the light of being a persecuted black man in this cruel and segregated world with the help of some of some new black friends, some of whom were people he, as a white man, taunted and harassed. The premise for the film was inspired by Franz Kafka‘s The Metamorphosis, and by John Howard Griffin‘s autobiographical Black Like Me, which is based on the true story of a white reporter who, at the height of the civil-rights movement, temporarily darkened his skin so that he could experience the realities of a black man’s life in the segregated South.